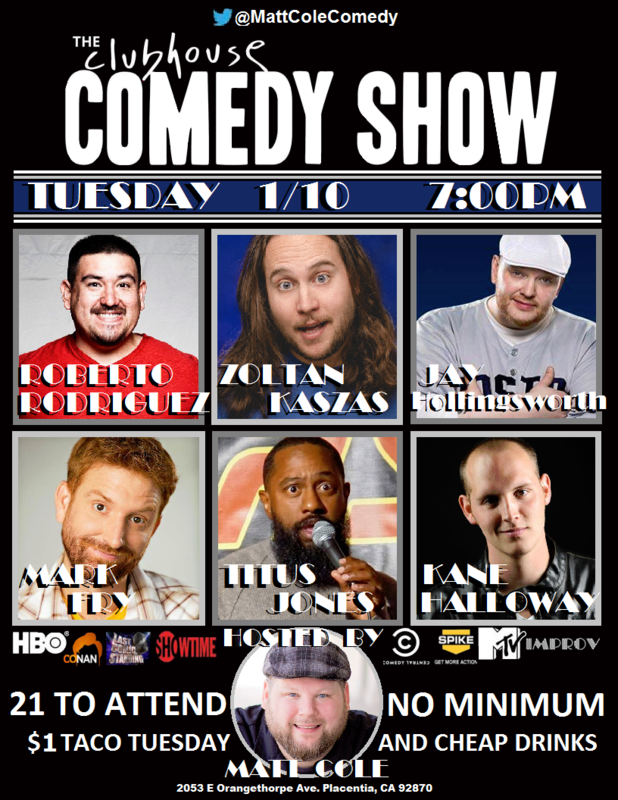 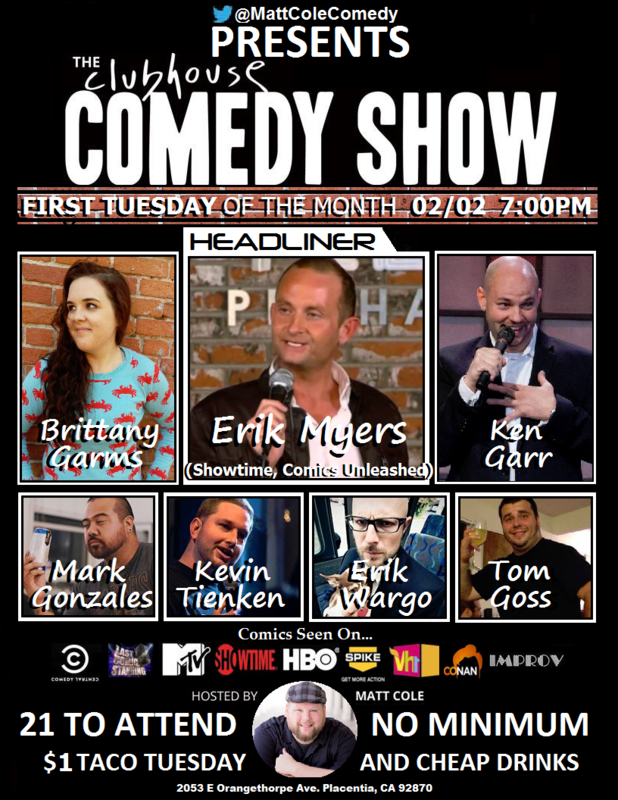 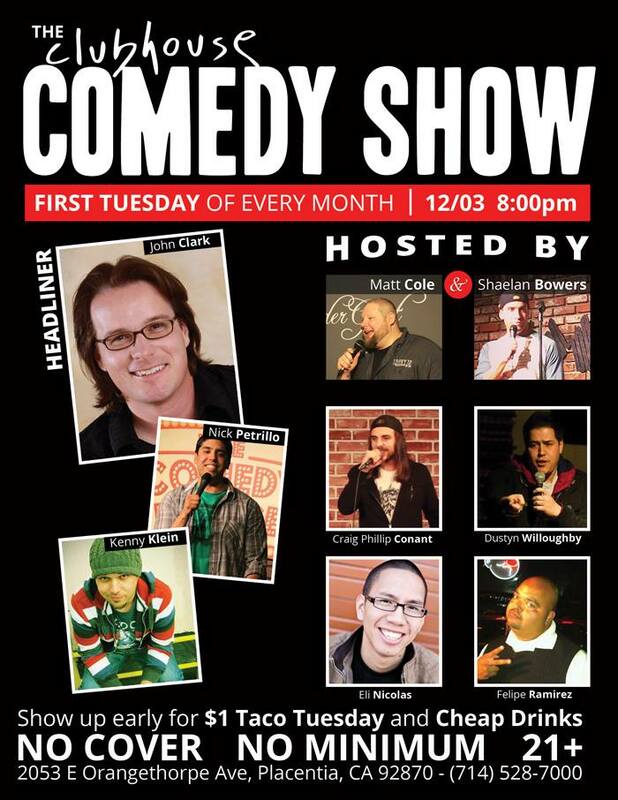 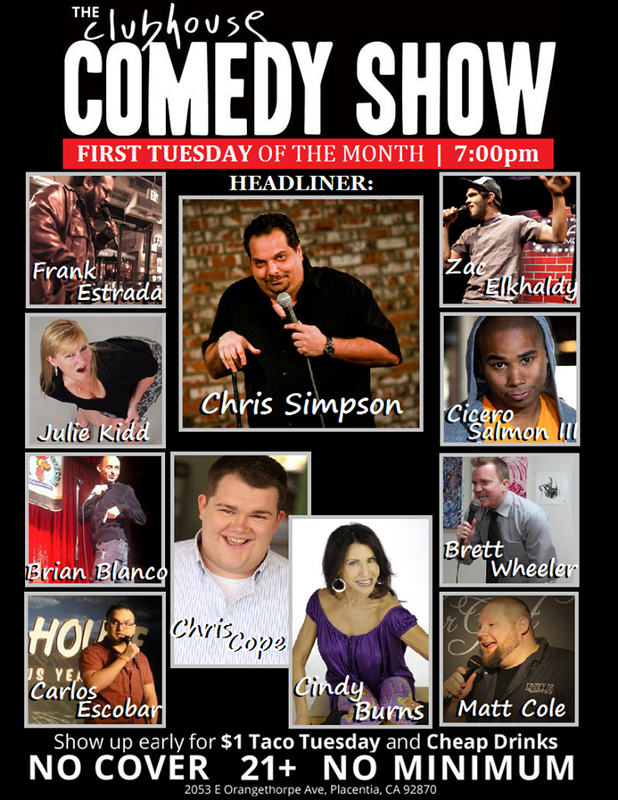 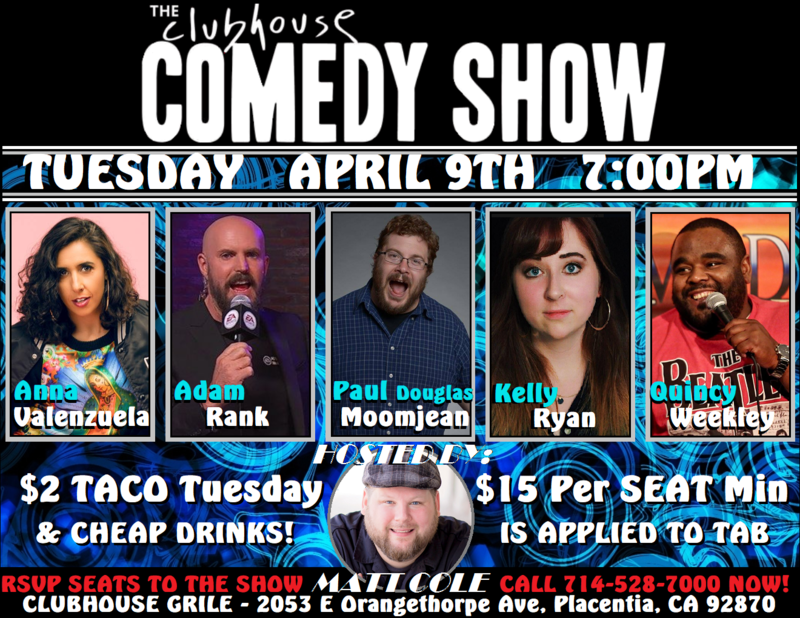 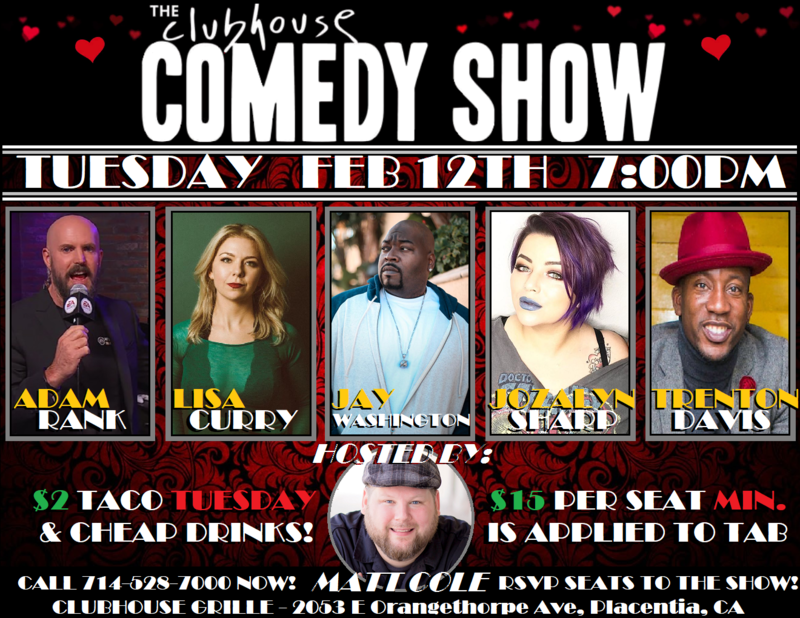 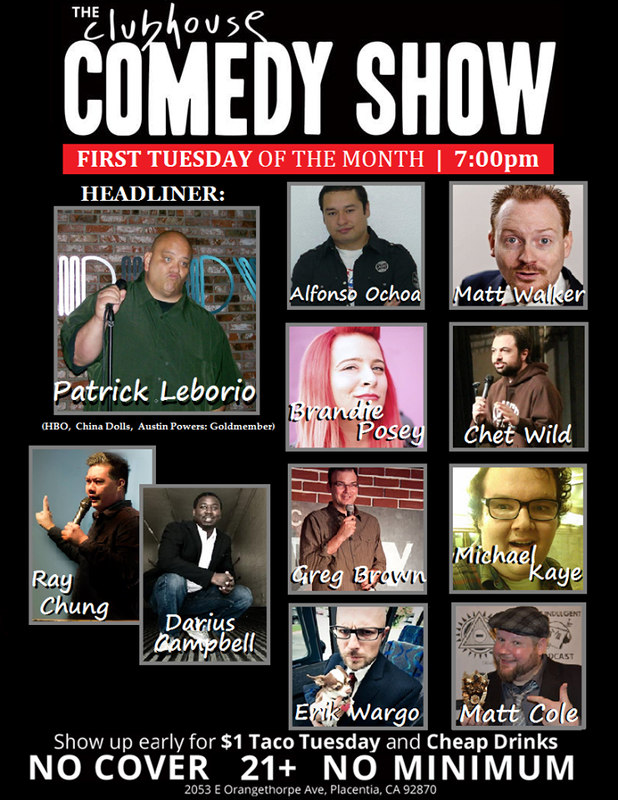 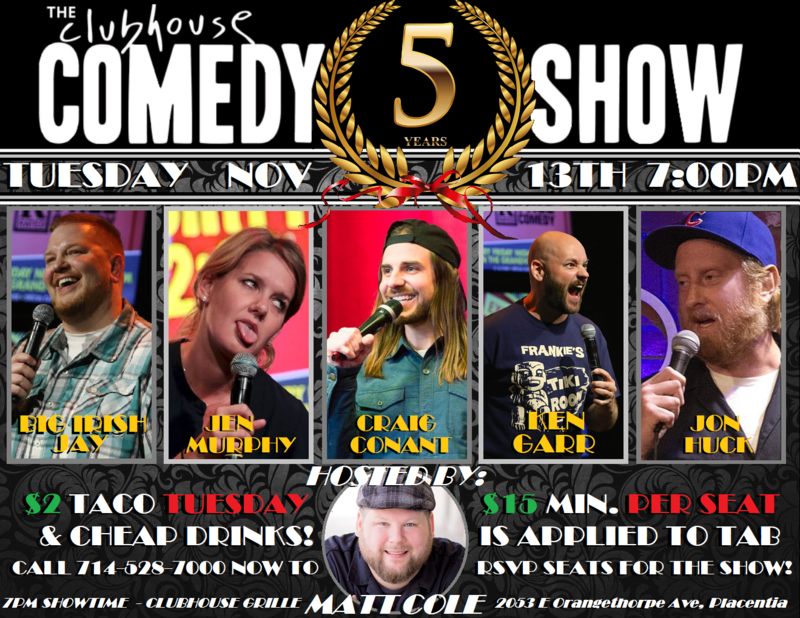 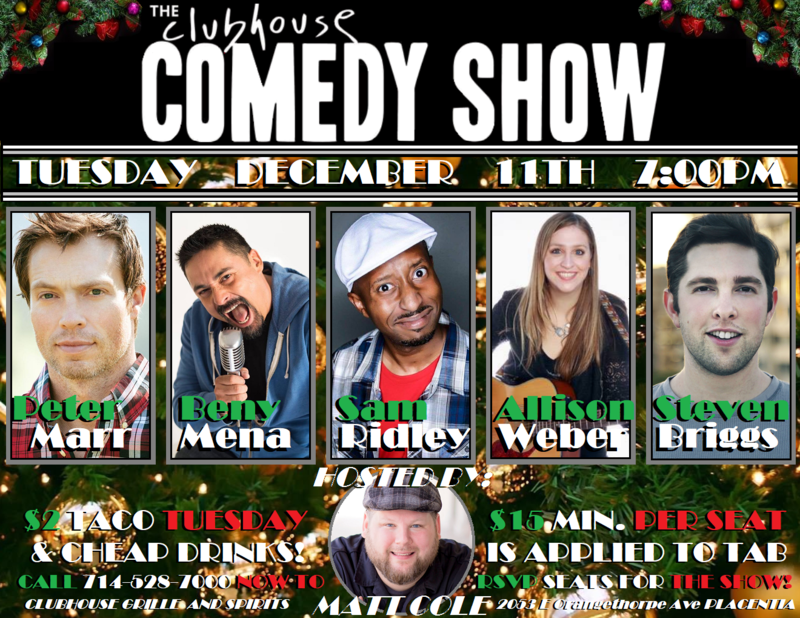 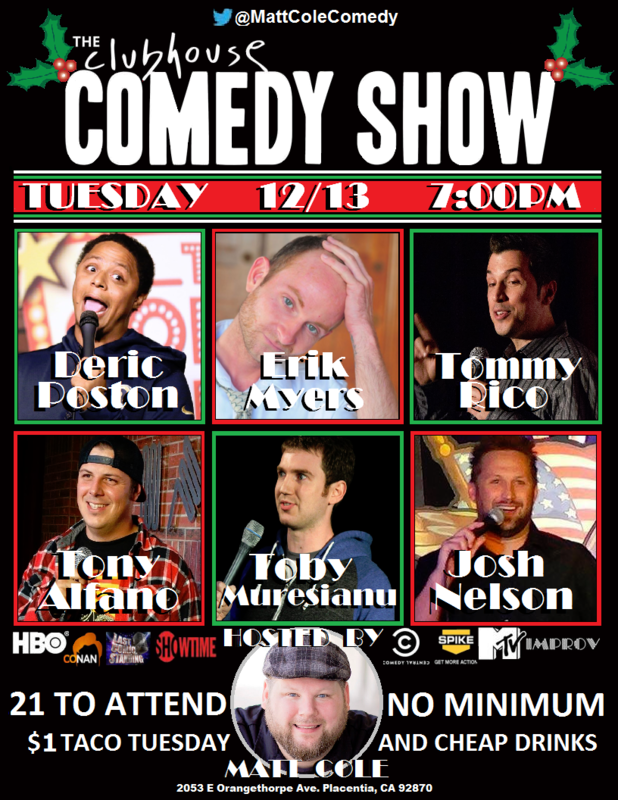 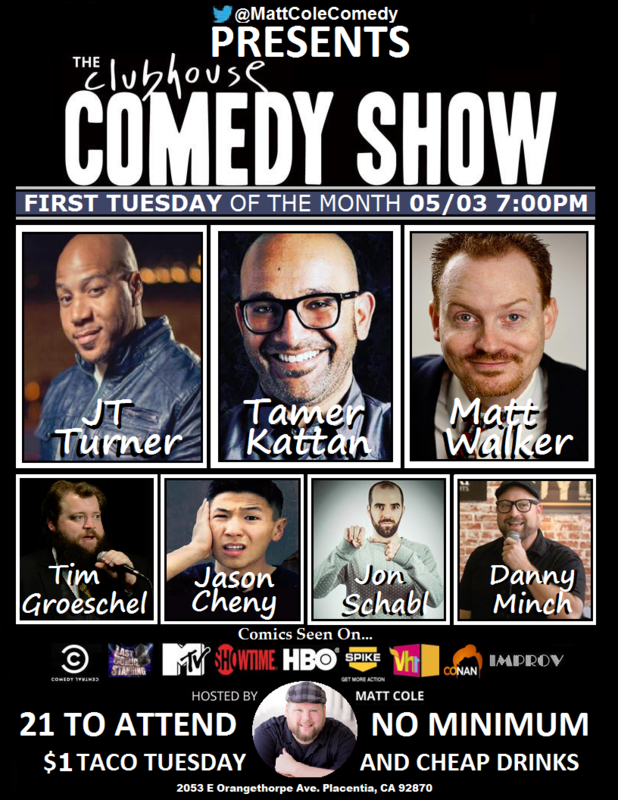 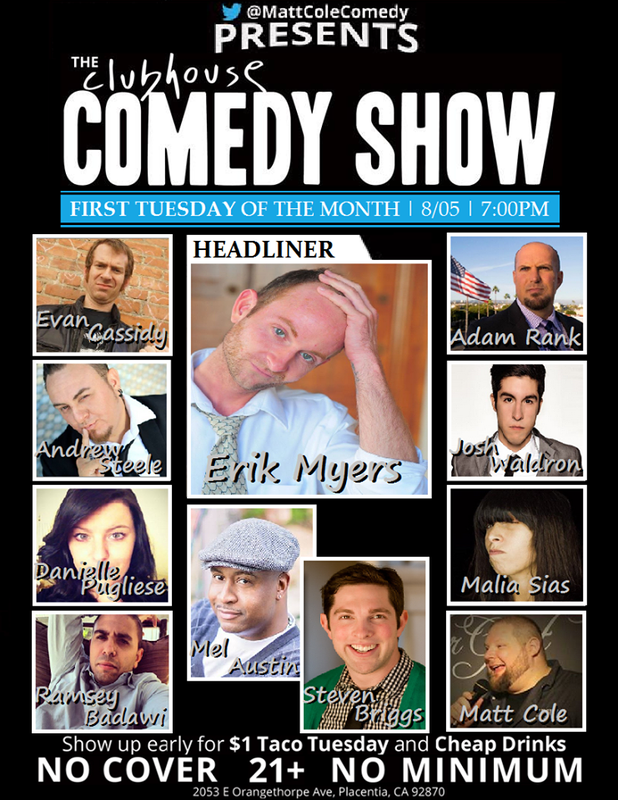 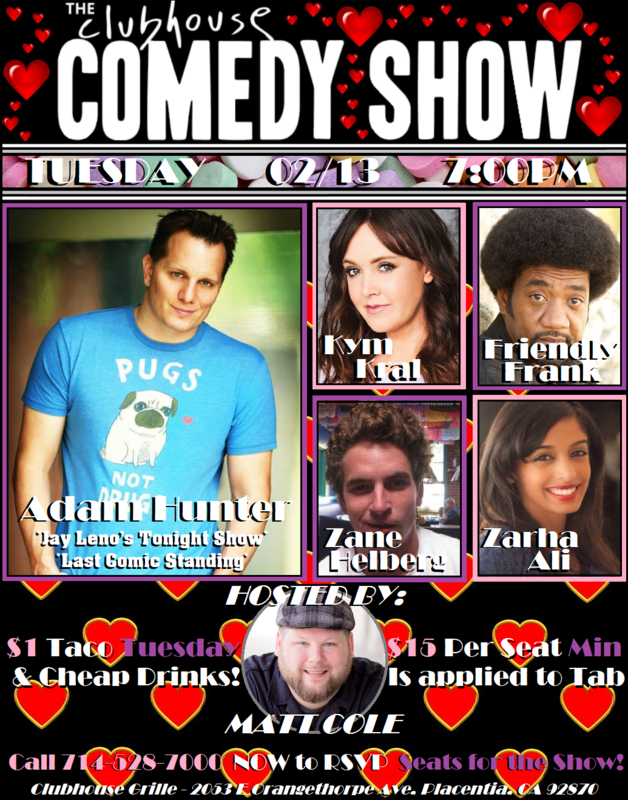 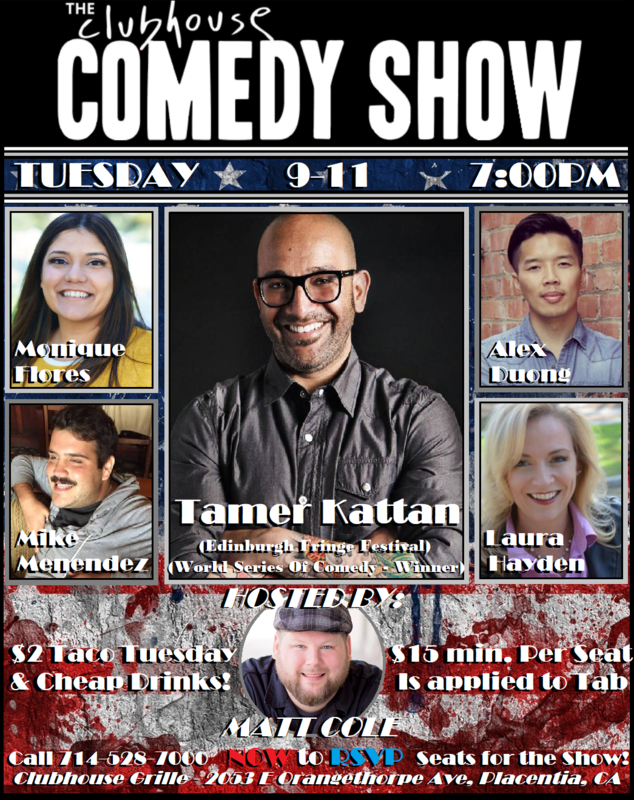 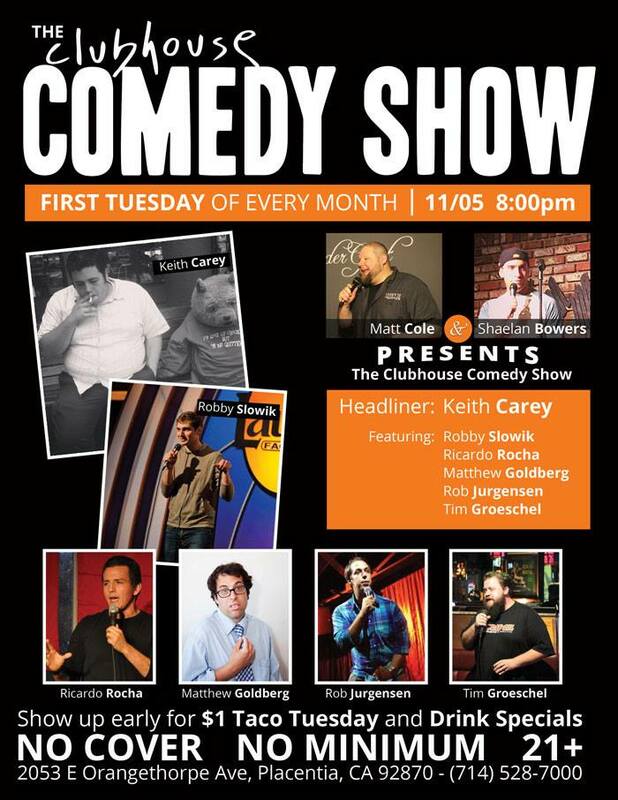 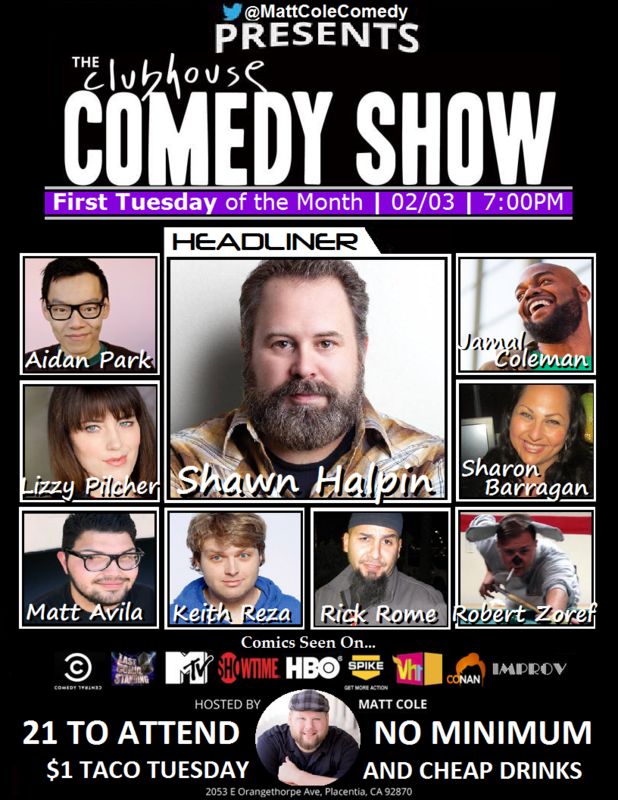 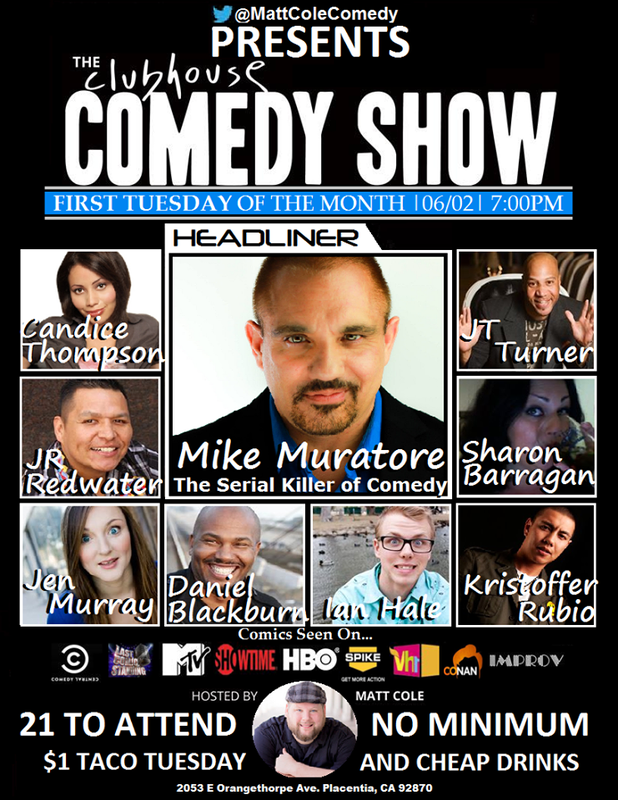 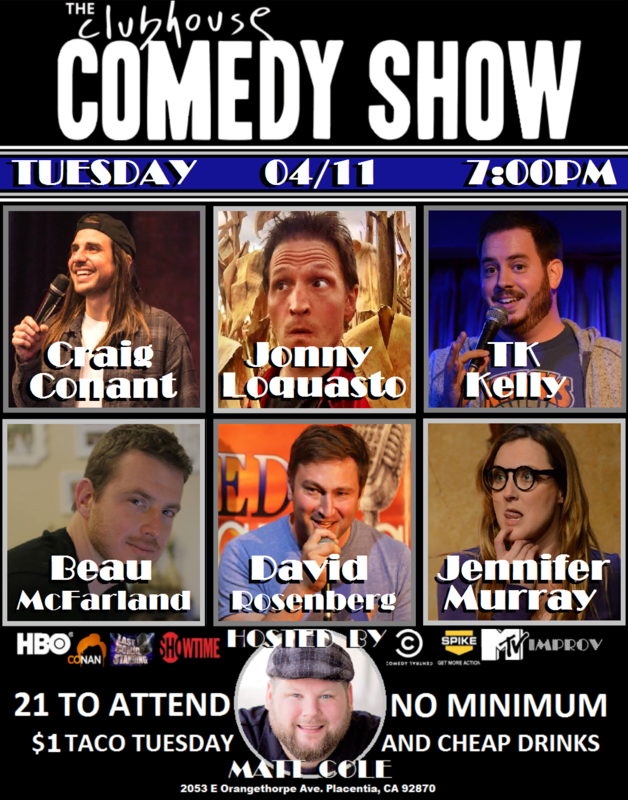 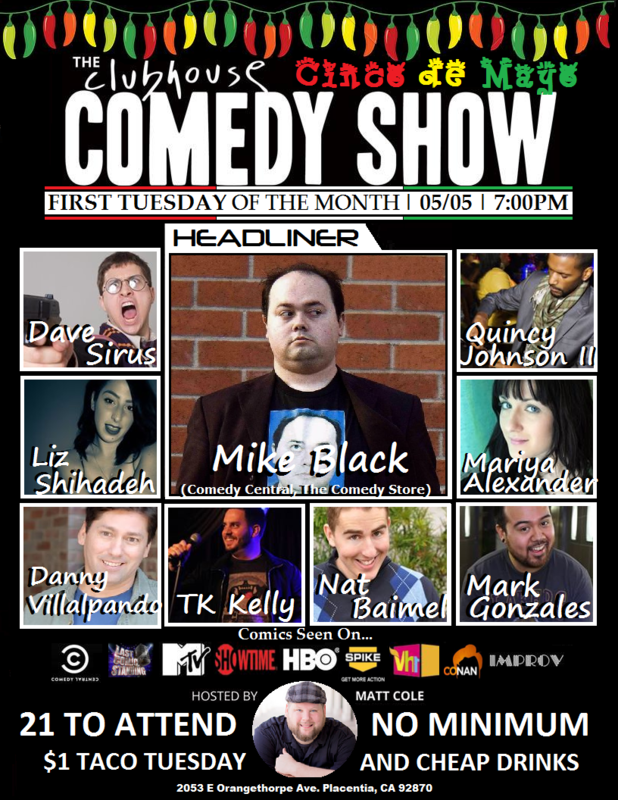 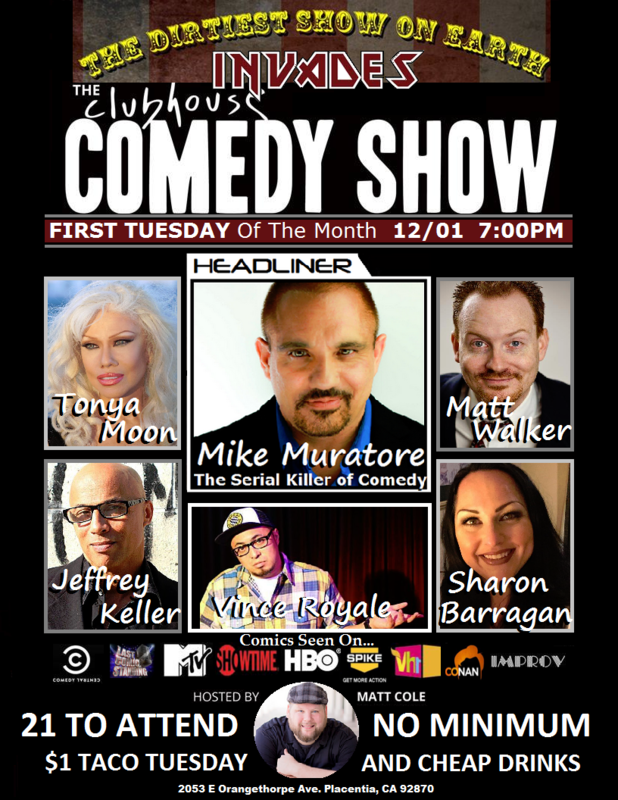 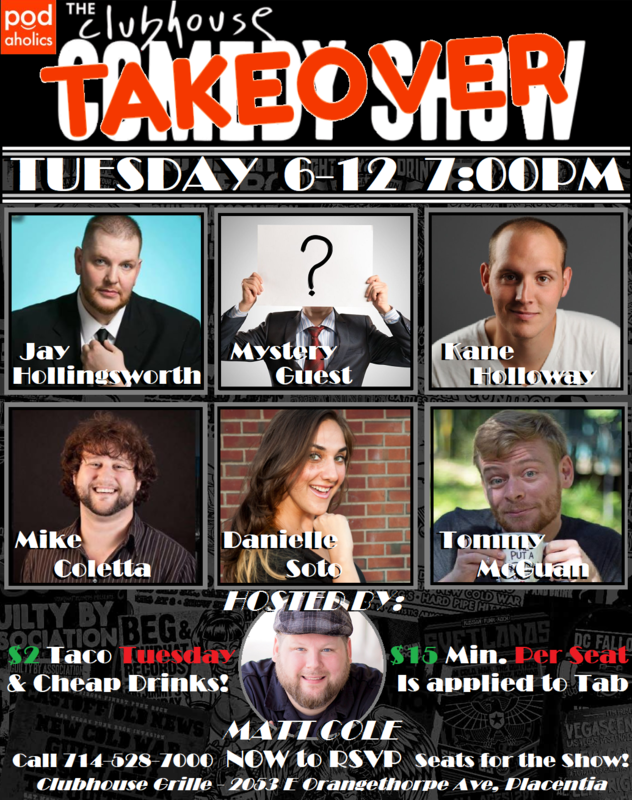 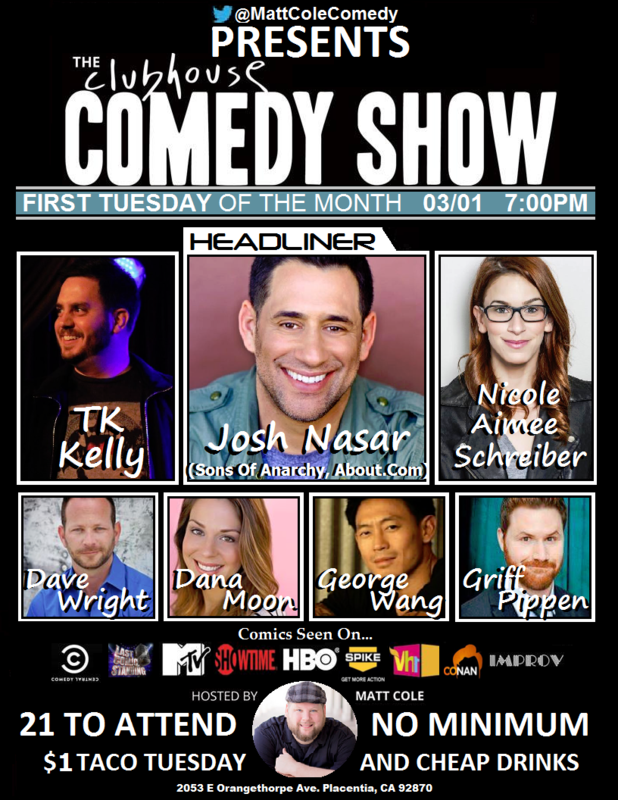 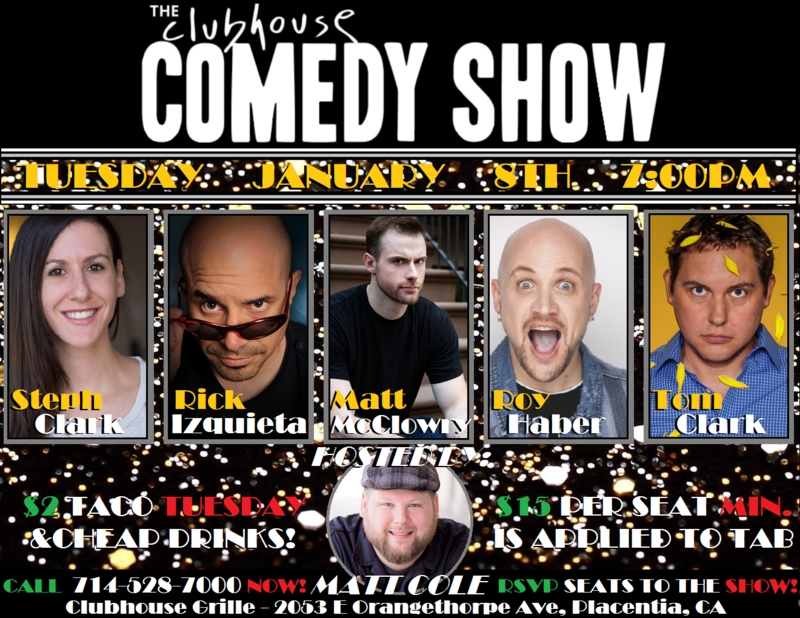 Live Stand-Up Comedy at the Clubhouse Grille in Placentia the 2nd Tuesday of the month, produced by comedian Matt Cole. 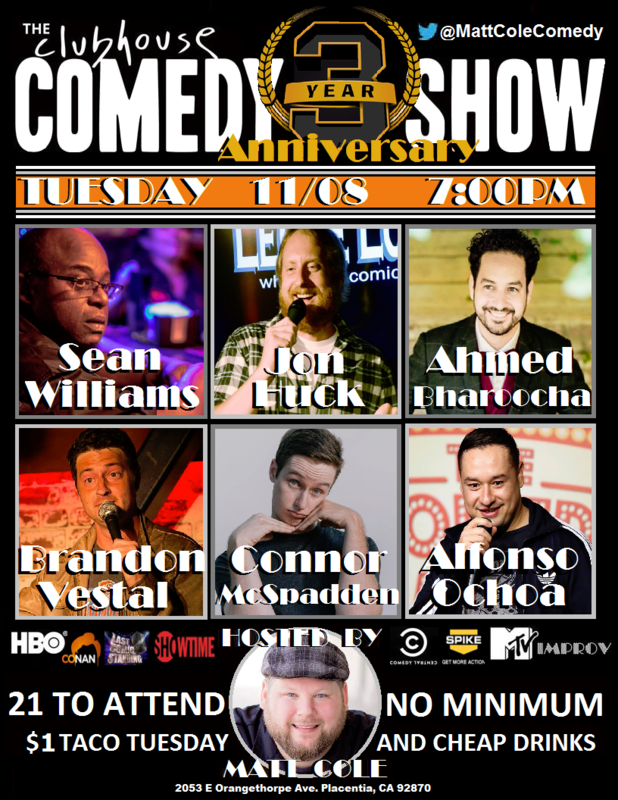 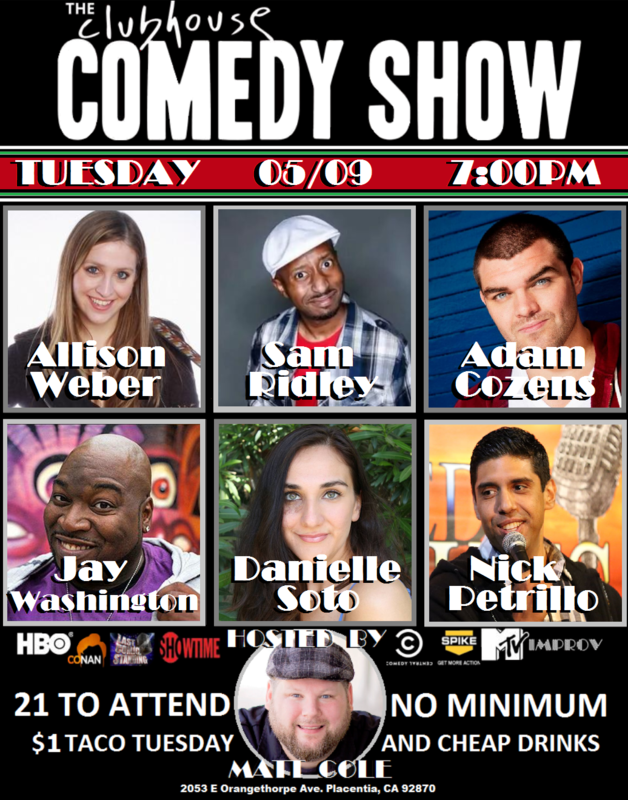 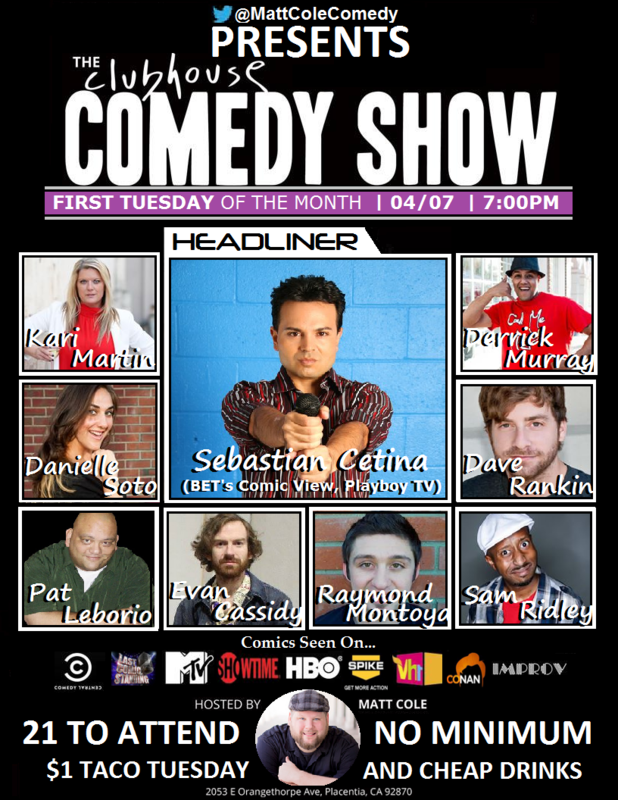 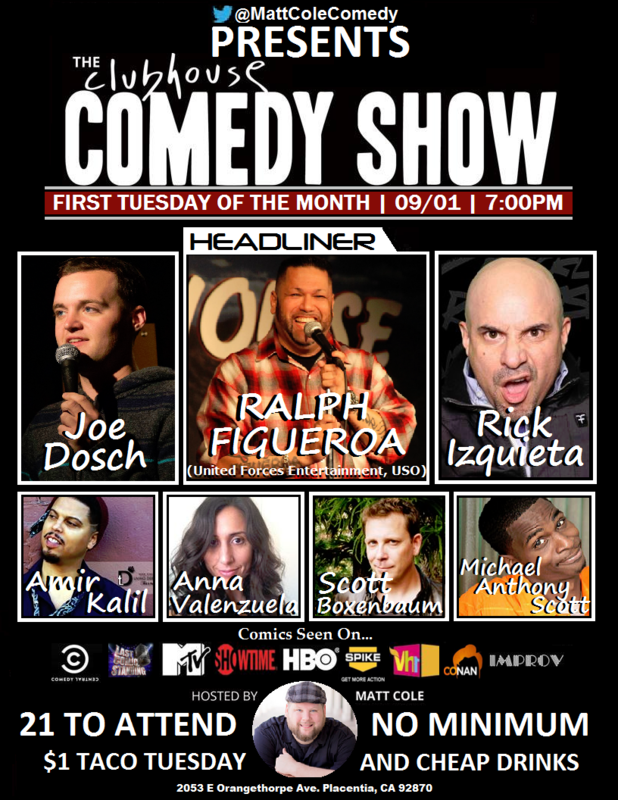 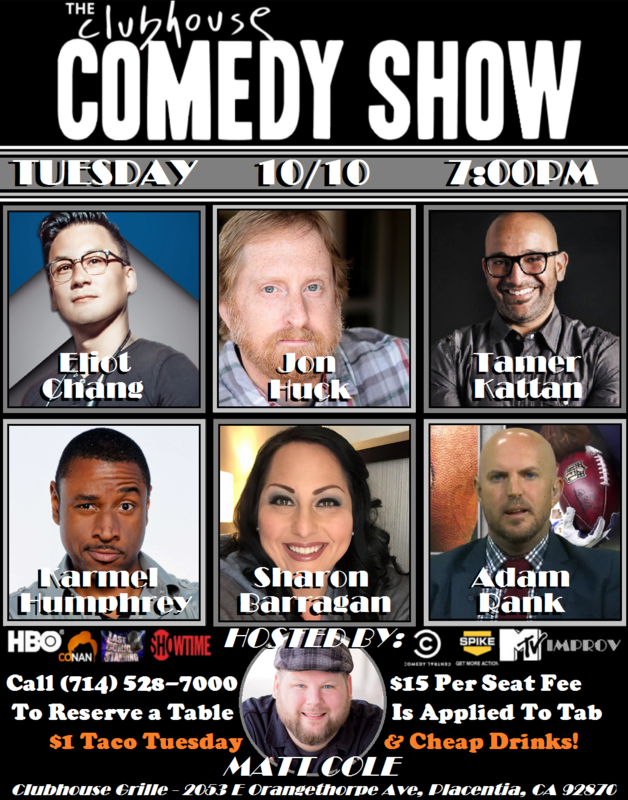 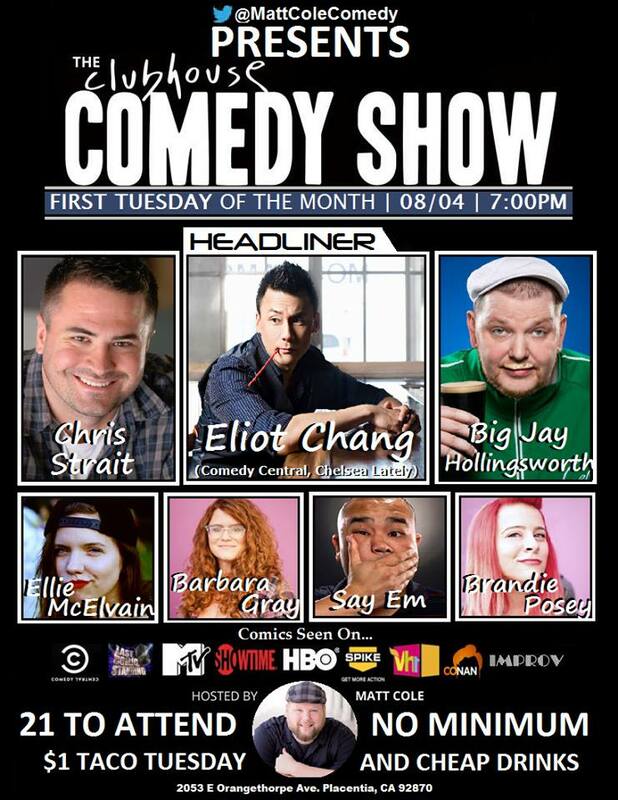 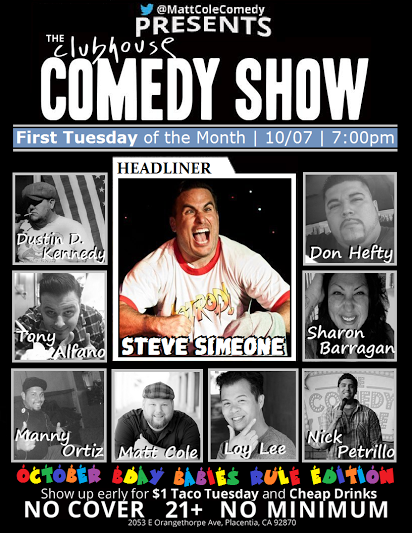 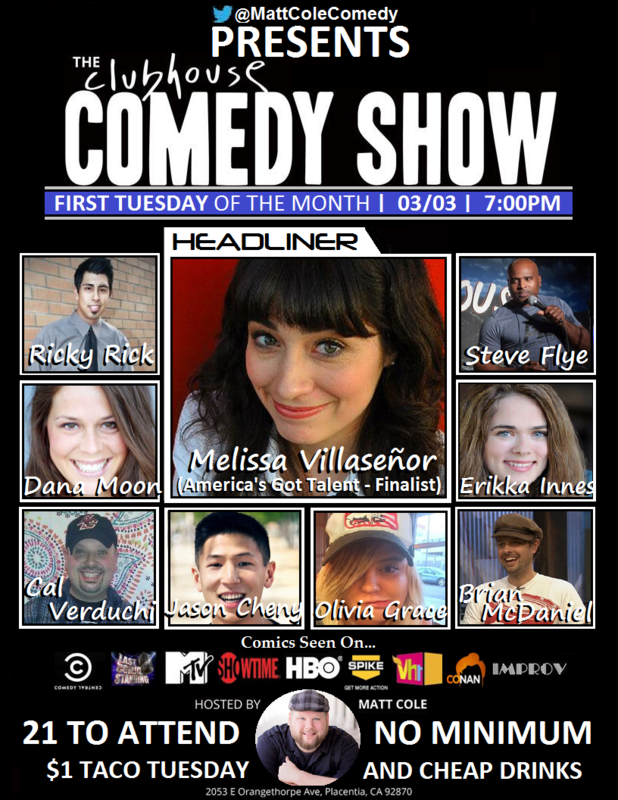 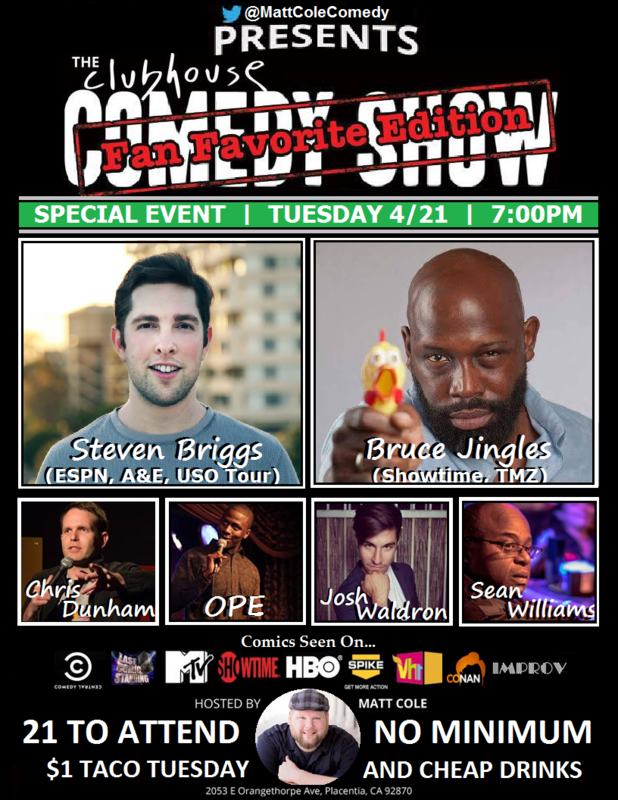 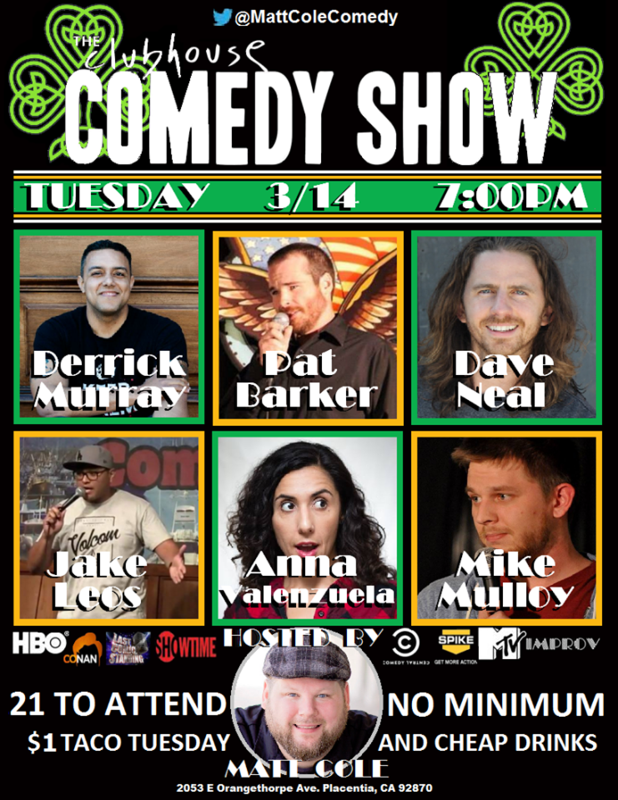 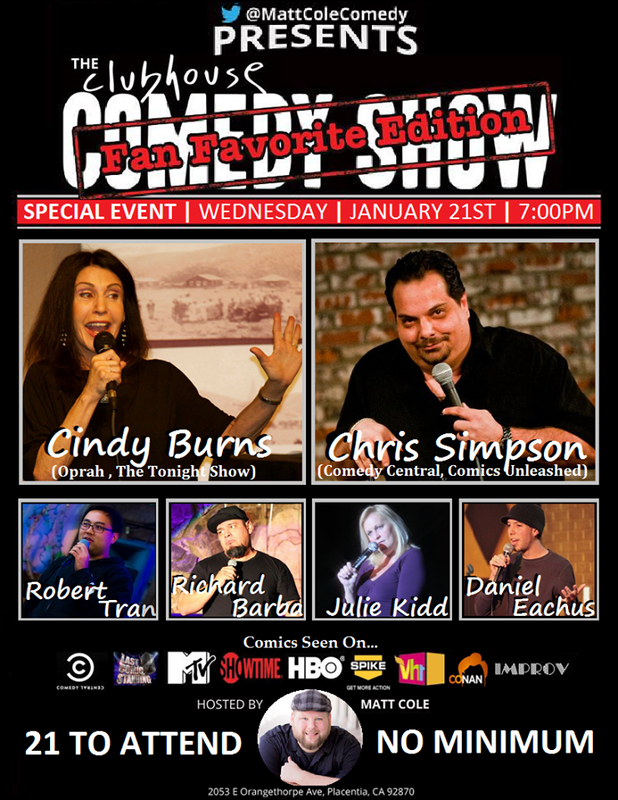 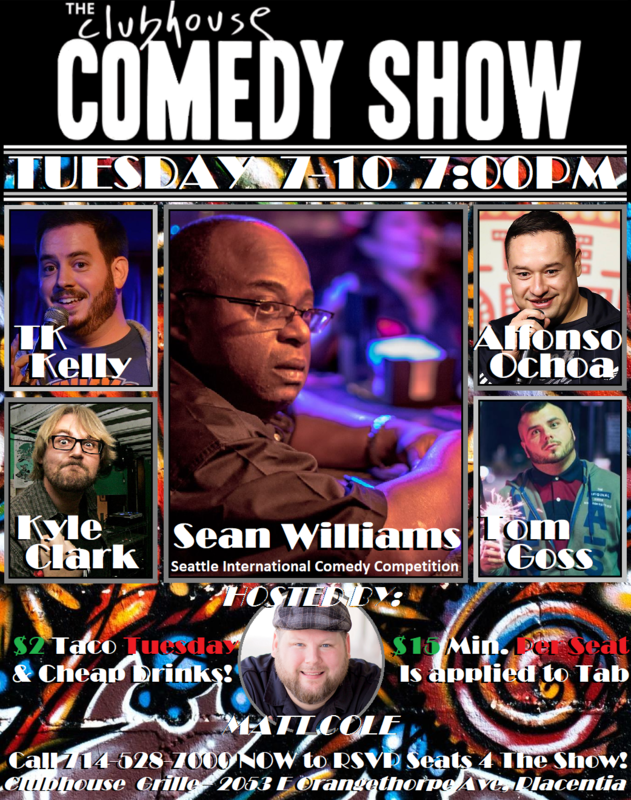 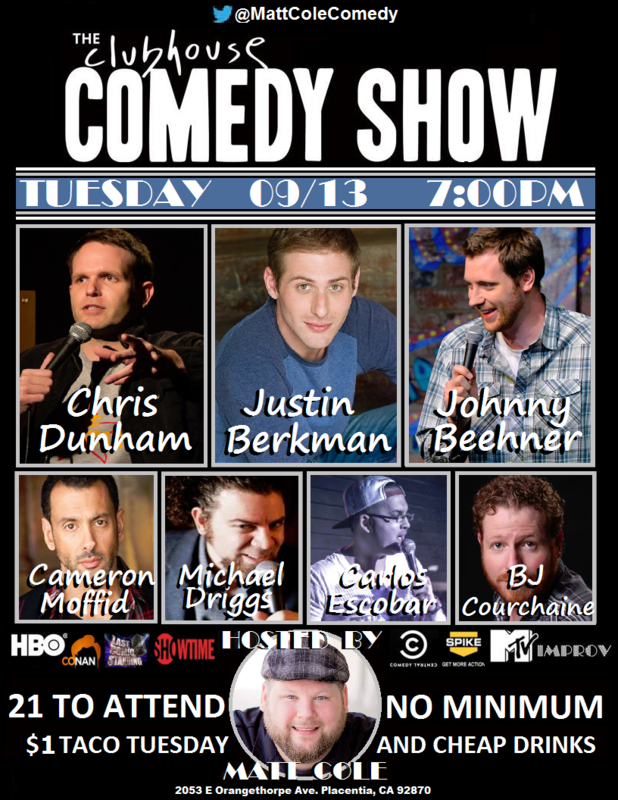 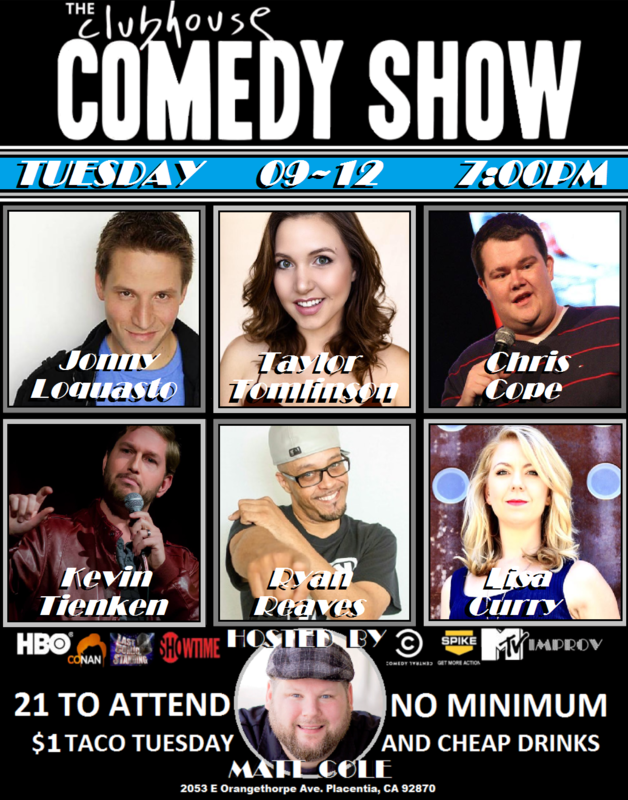 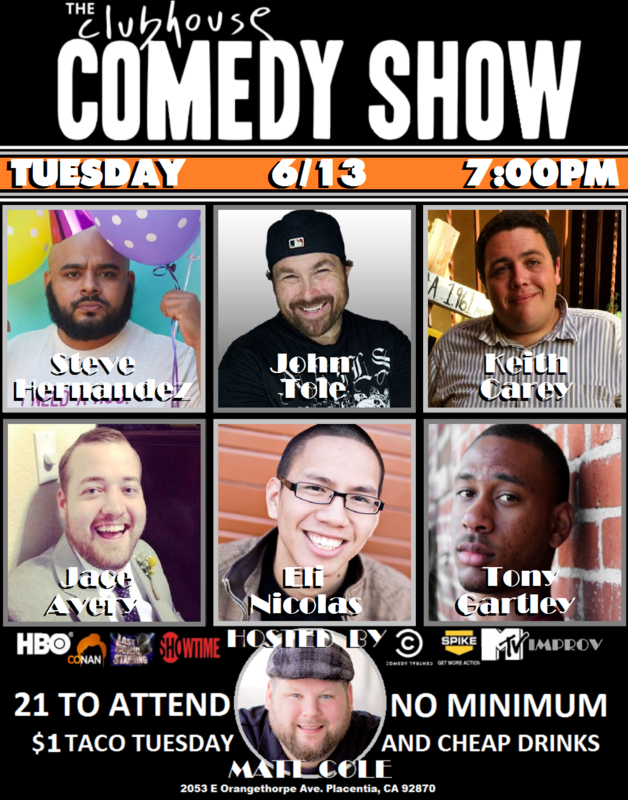 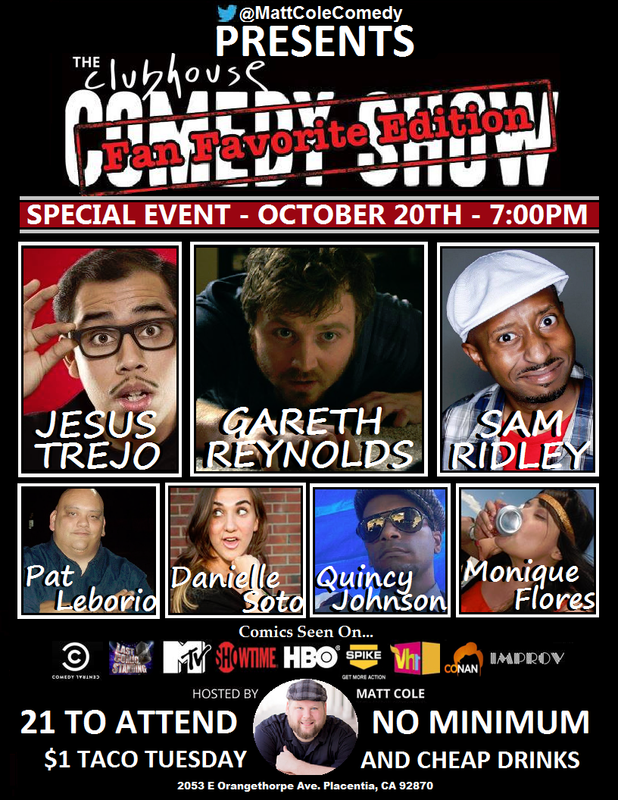 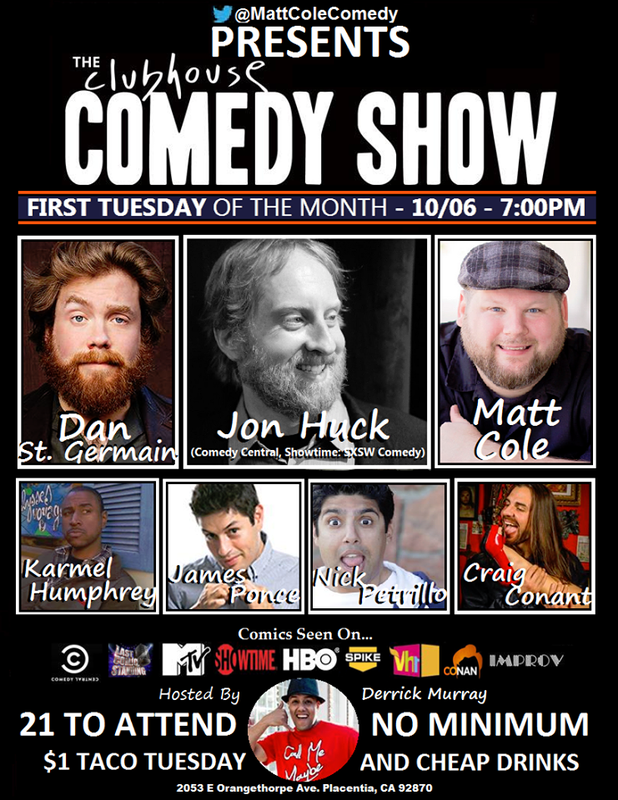 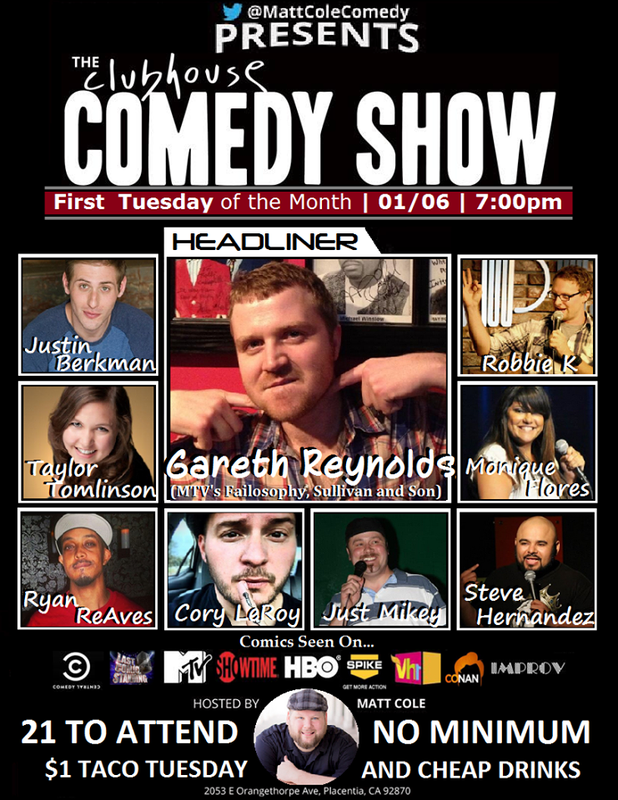 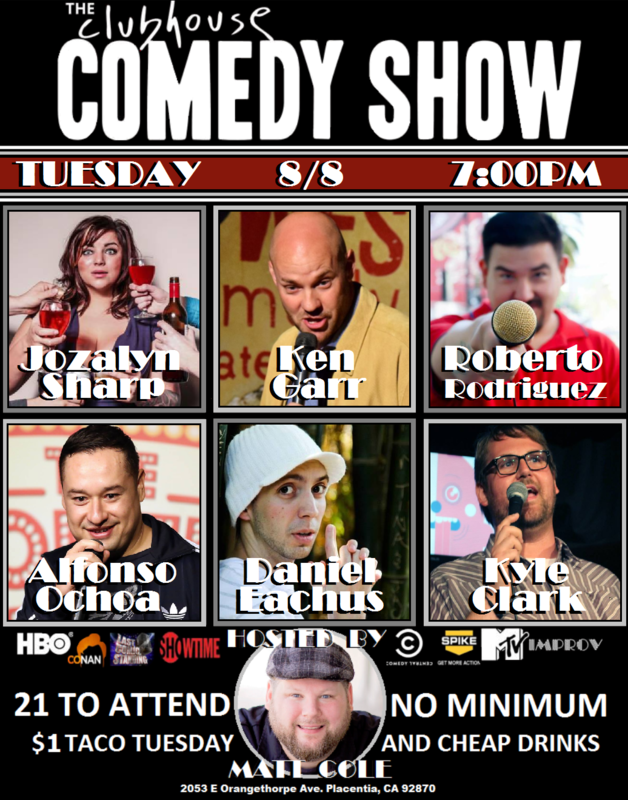 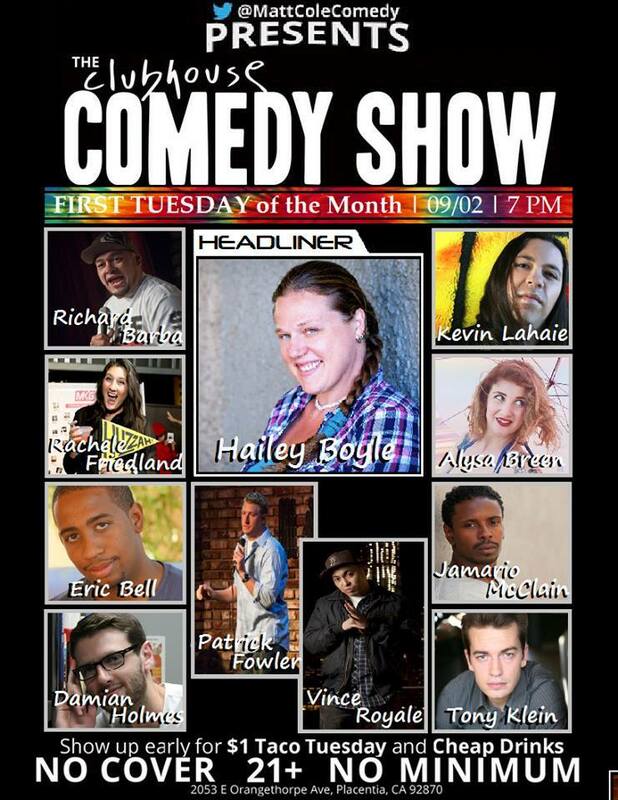 We bring together professional touring comedians and the best up and coming comics from OC/LA under one roof. 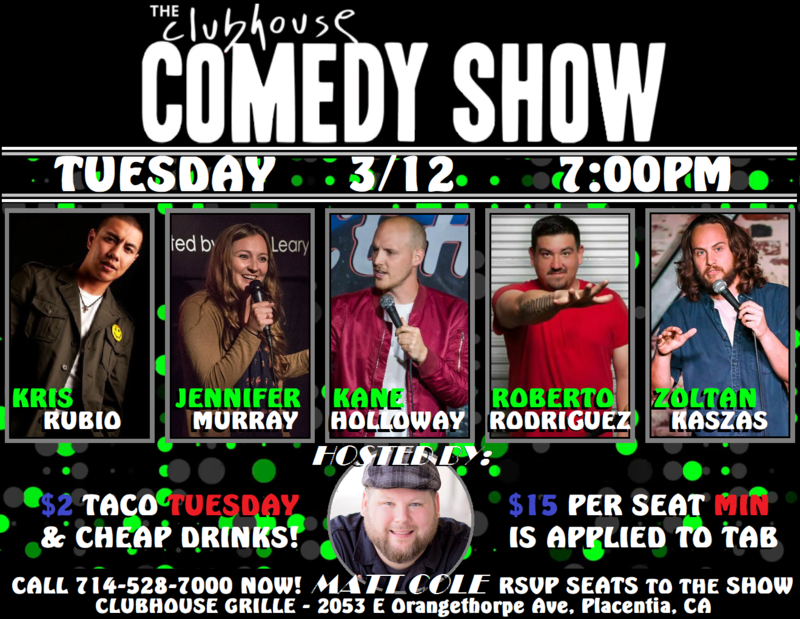 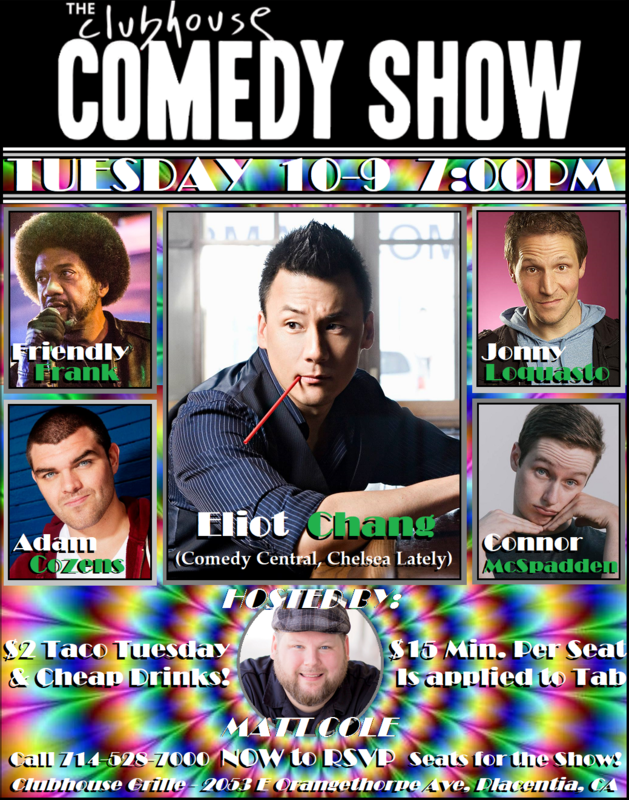 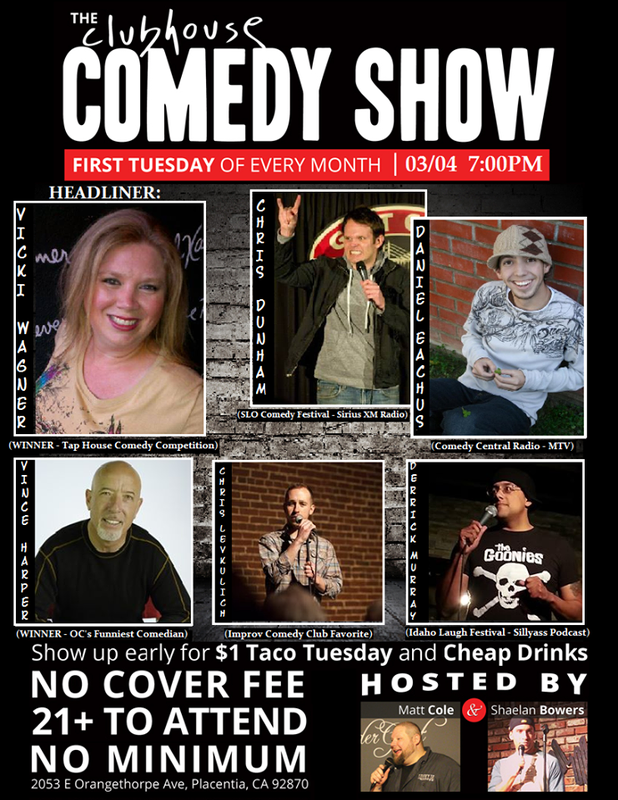 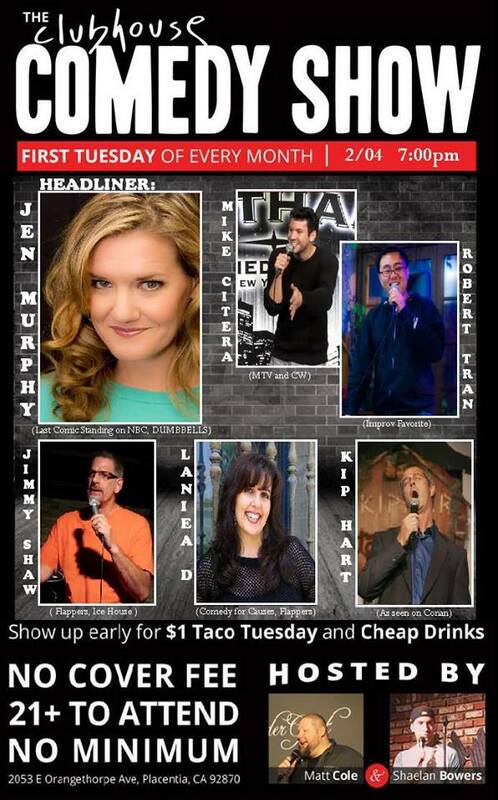 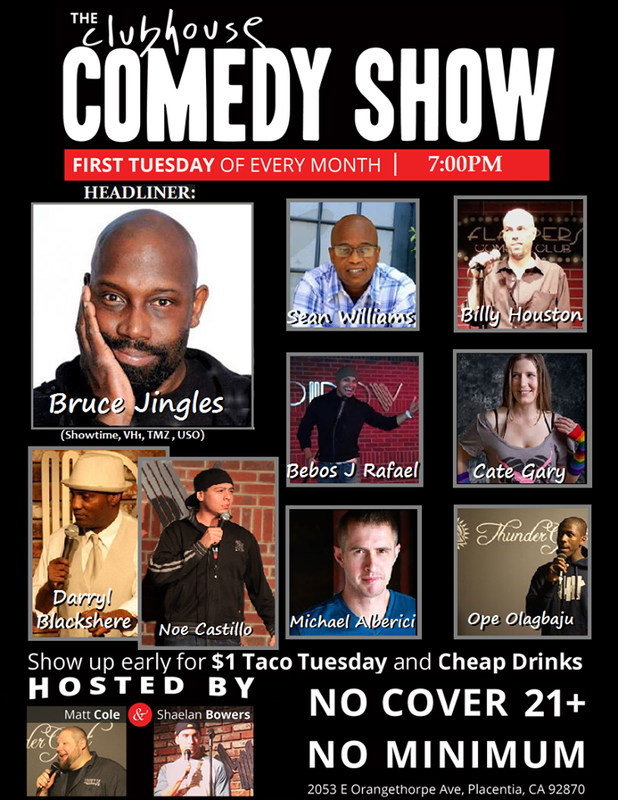 The Clubhouse has quickly become a favorite spot among audiences and comedians alike, so join us the 2nd Tuesday of the Month for $2 Tacos! 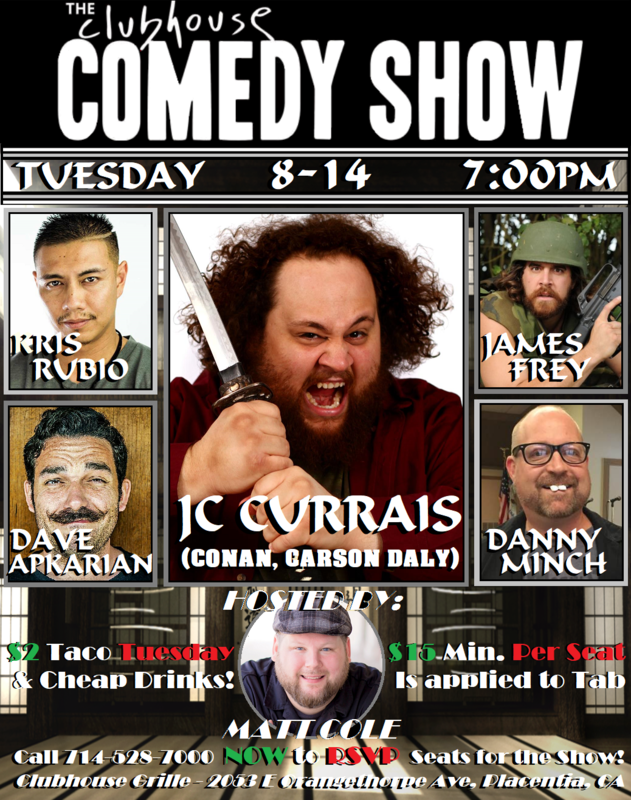 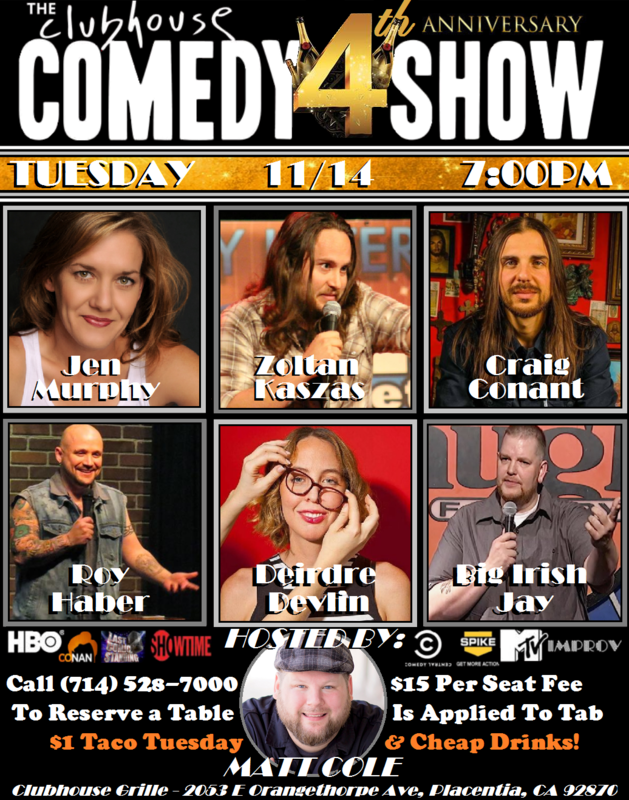 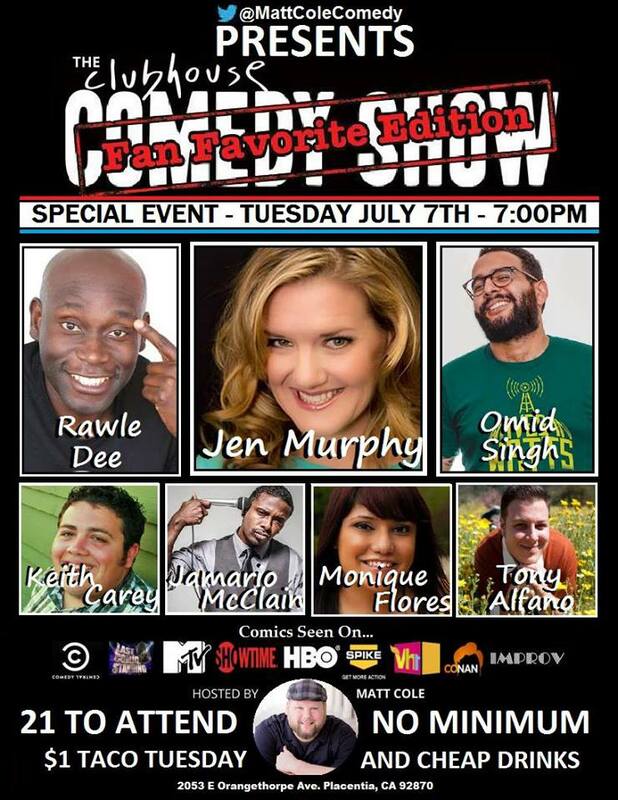 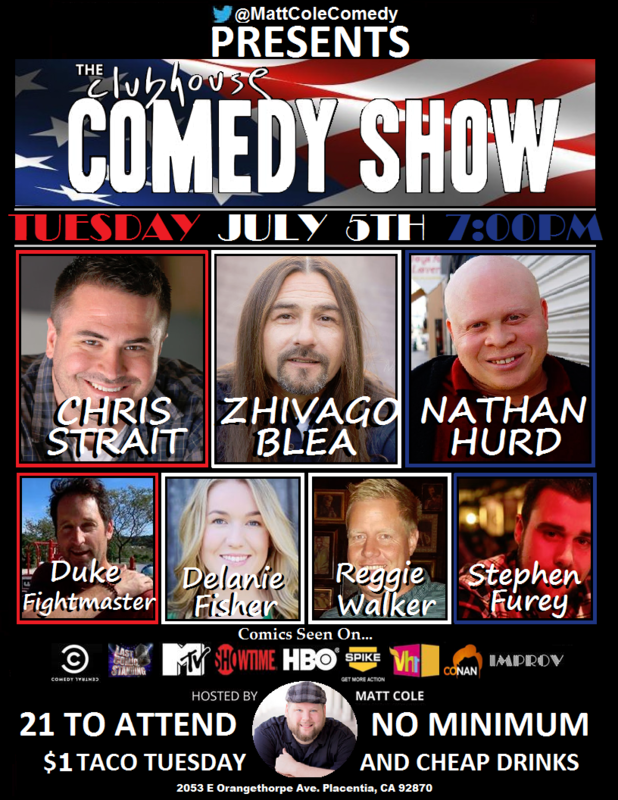 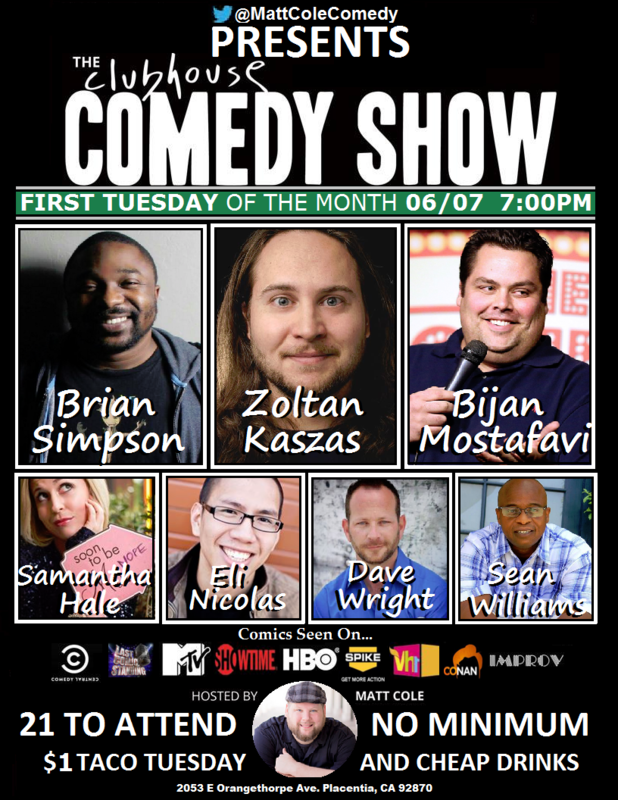 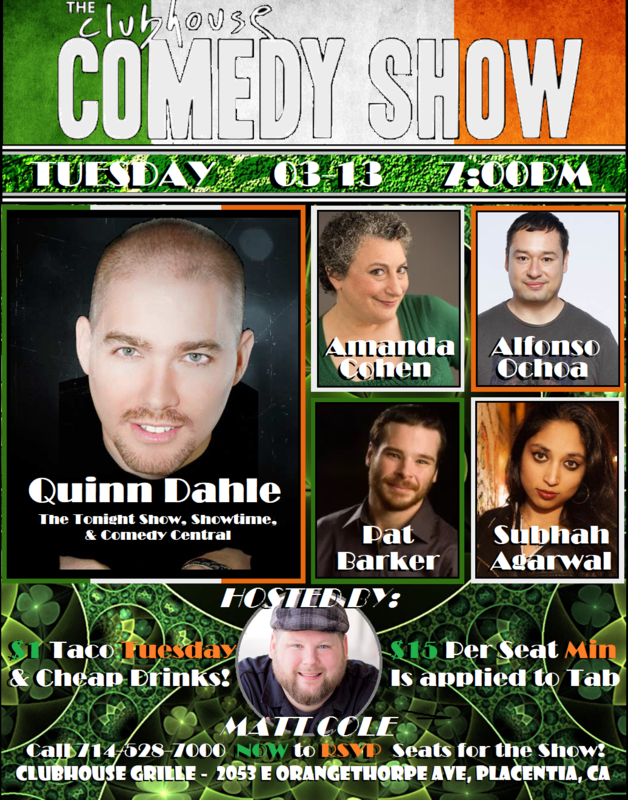 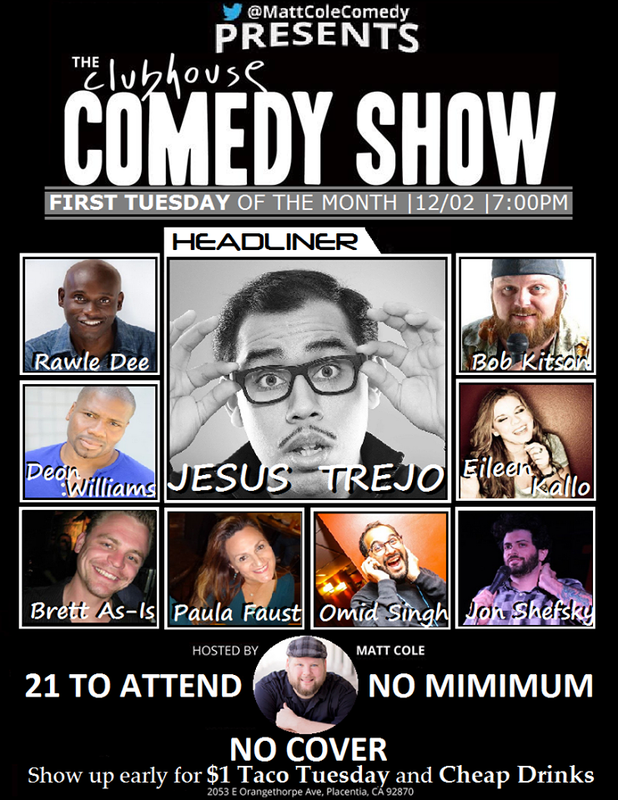 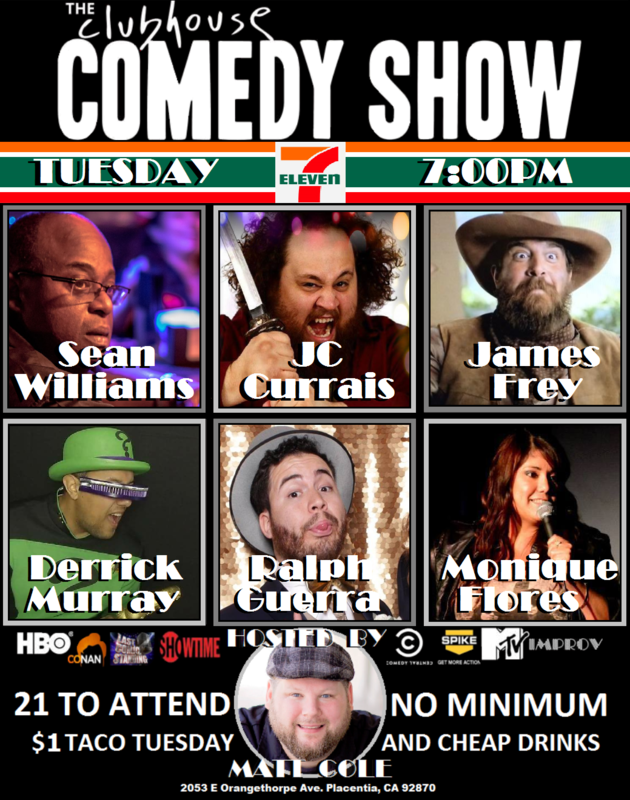 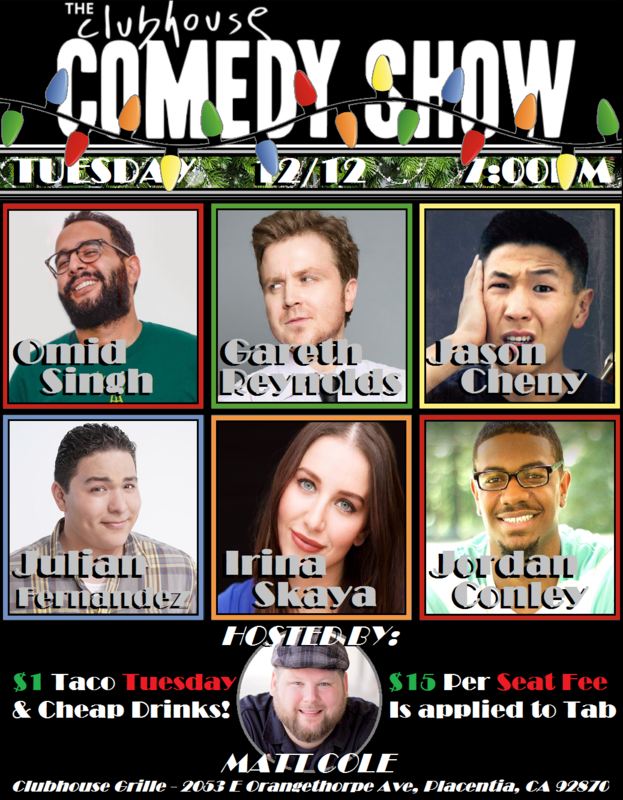 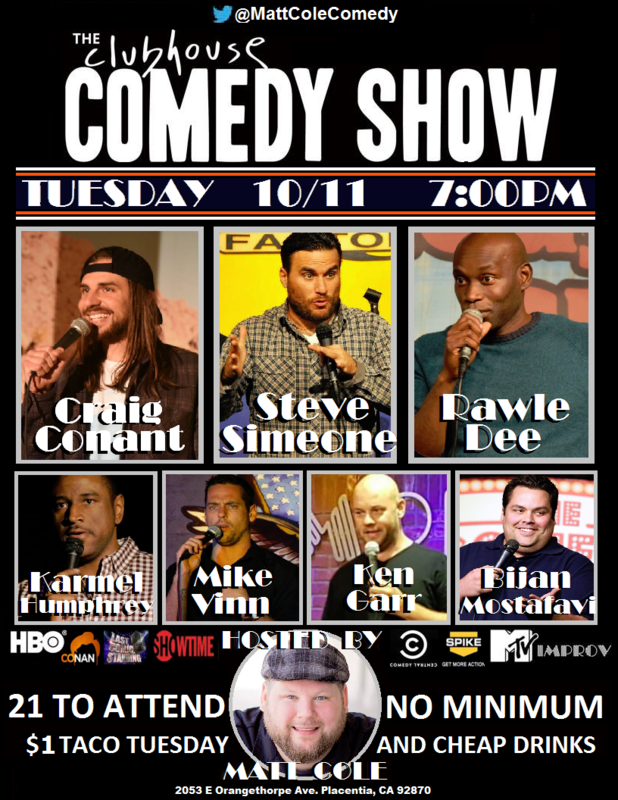 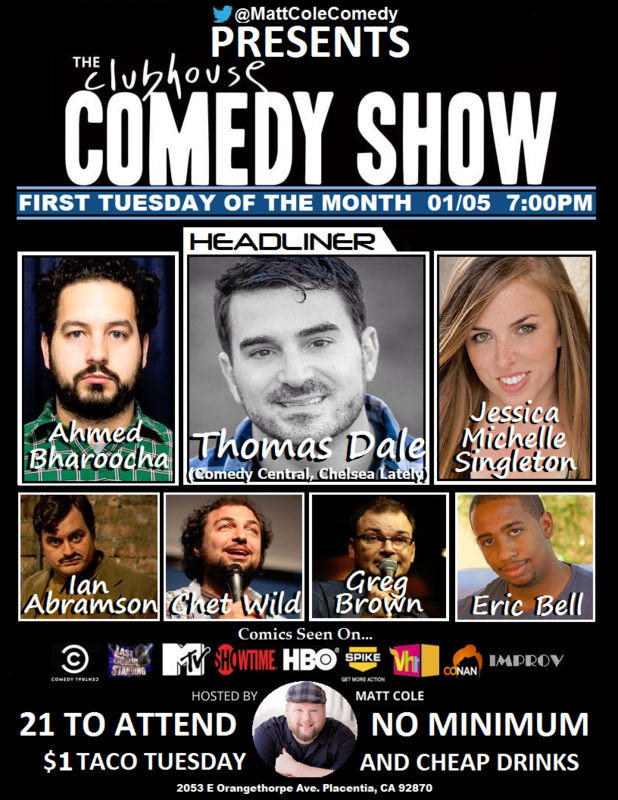 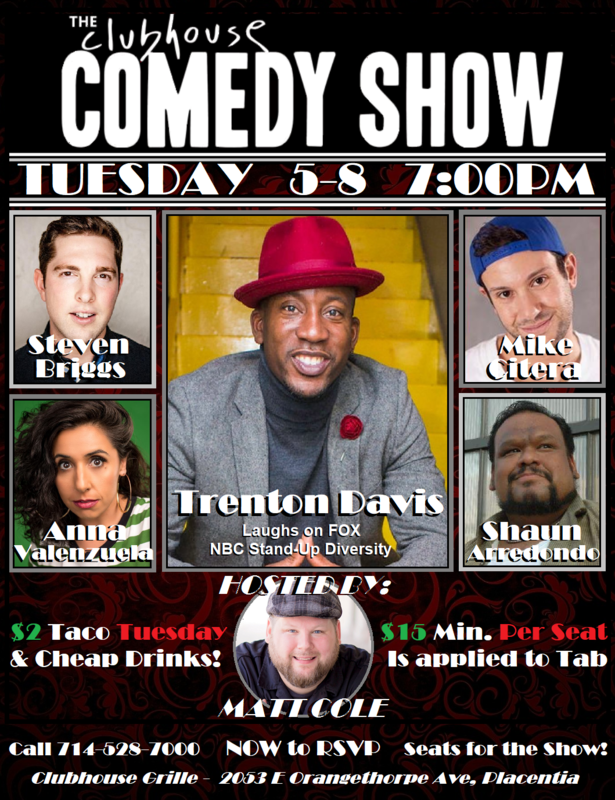 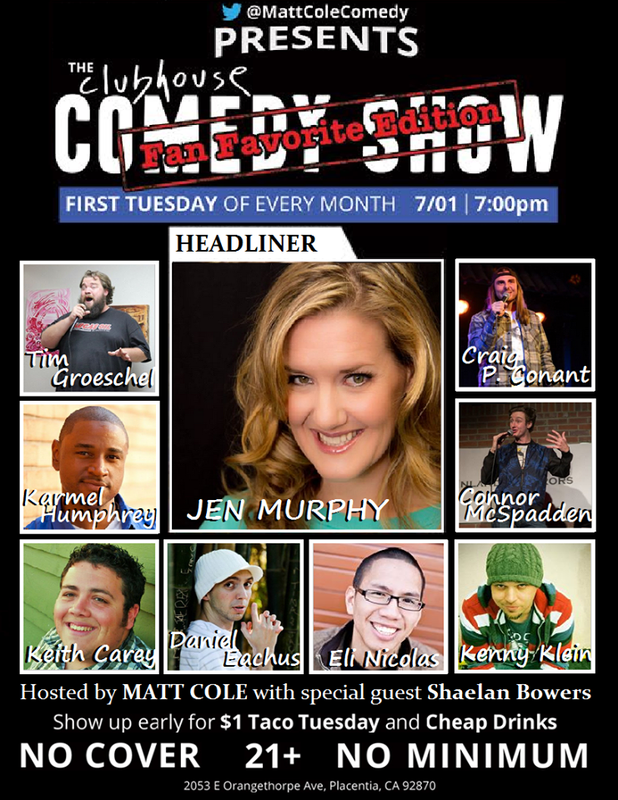 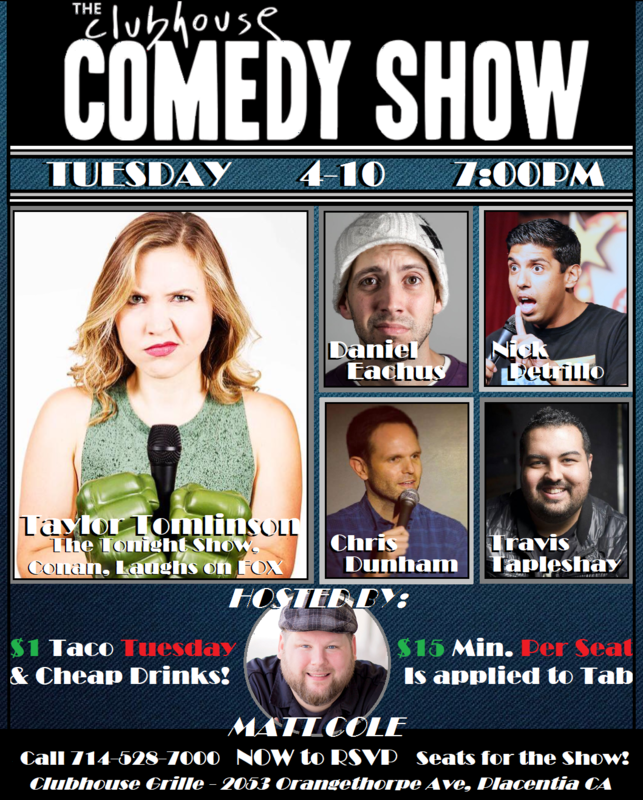 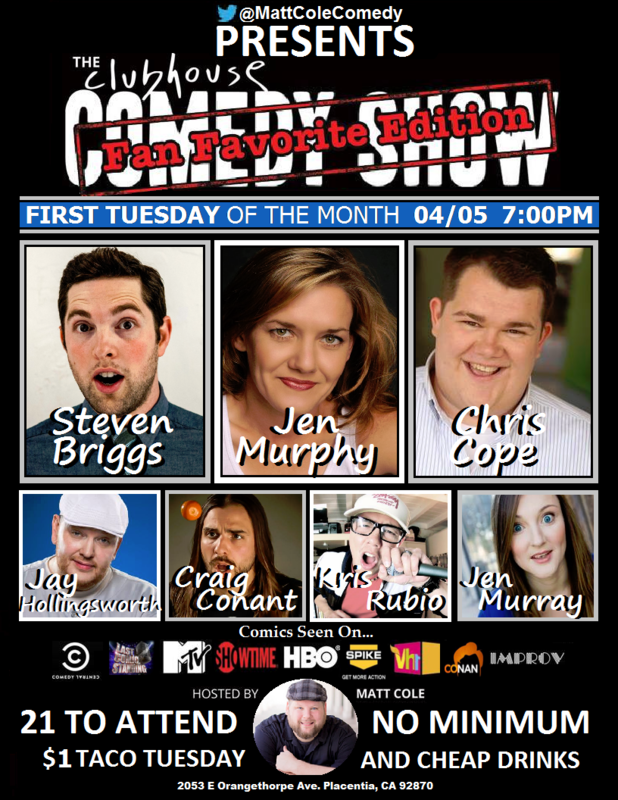 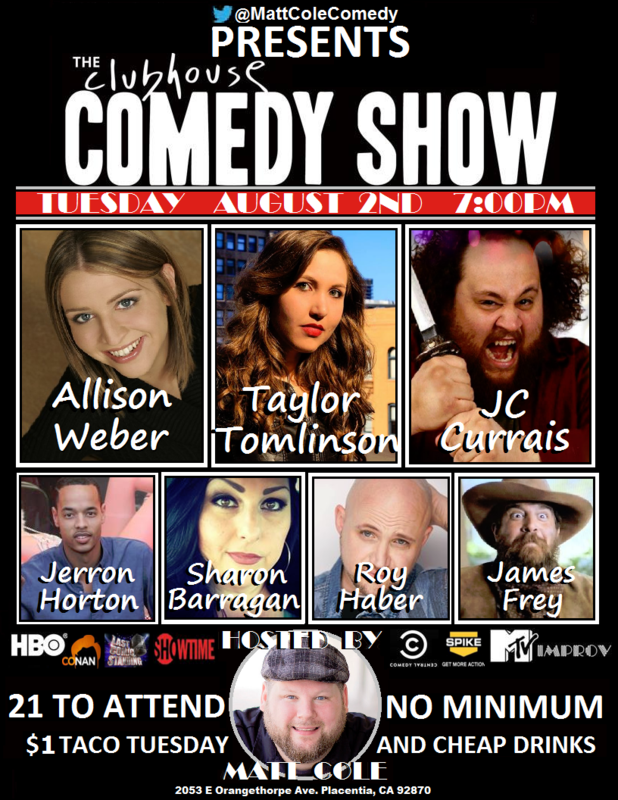 Cheap Drinks and non stop laughs at the BEST DAMN Comedy Show in OC! 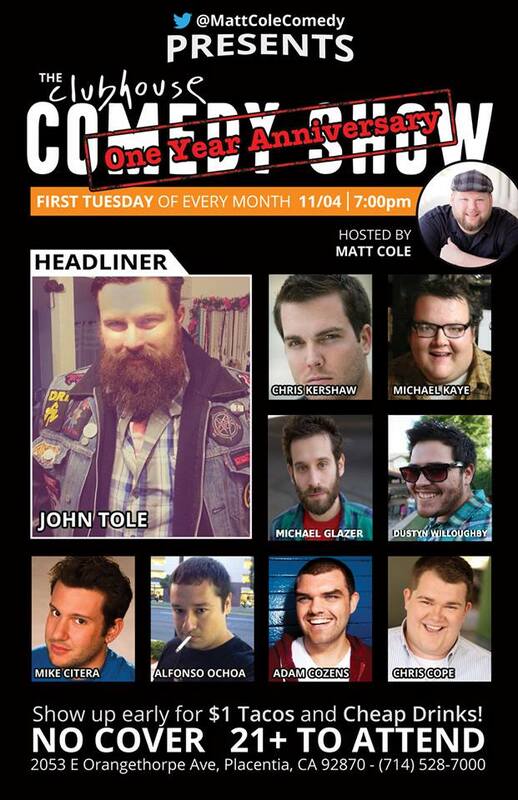 Matt always puts together a great comedy show. 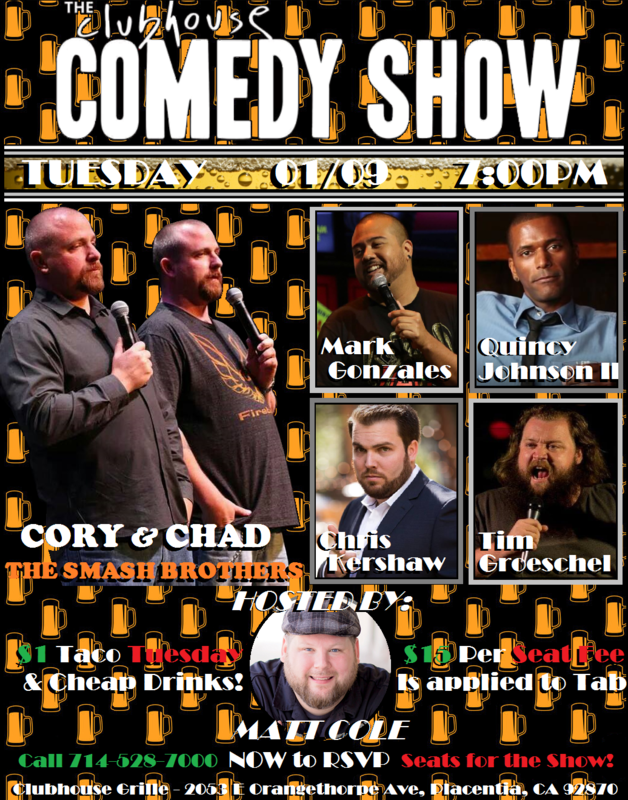 We have been to every comedy night and have enjoyed ourselves very much. 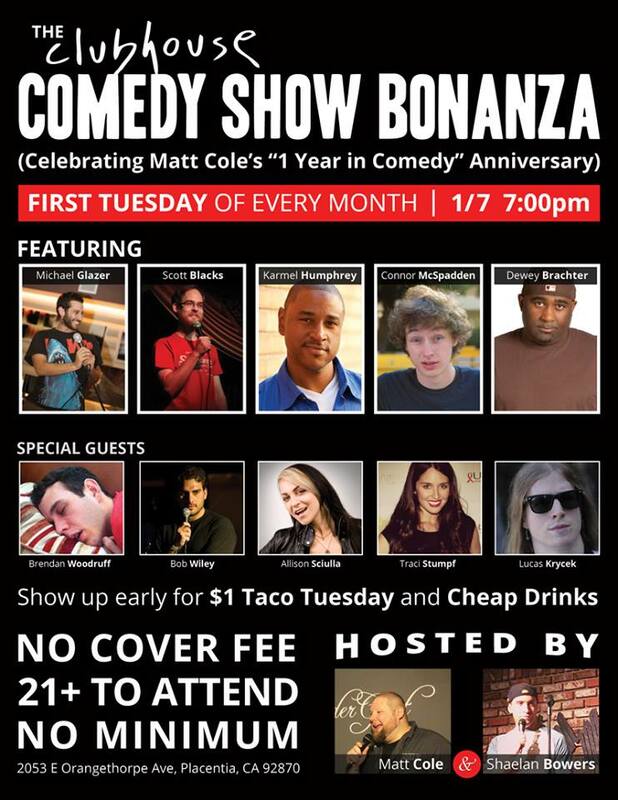 A lot of kudos goes out to Matt and ALL the comedians.